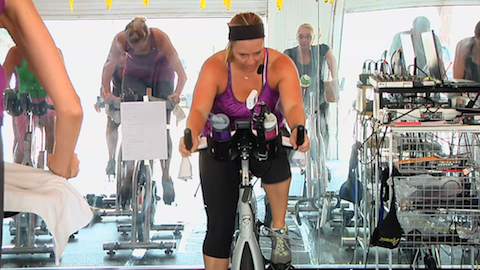 A top Google search term is, “Are Spinning classes hard?”. My answer is this, “I hope so!” Unless you’re looking for a recovery ride (which there is a time and place for), then you bet your buns that Spinning classes are hard, but they are what you make them, especially with a streaming Spin class. 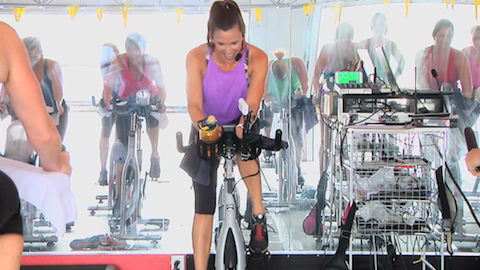 In this killer 20 minute Spinning workout, you can burn a lot of calories in a short time if that’s your goal. Cat Kom brings the music and the motivation, you just need to bring the drive. Train with purpose and you’ll reap the reward! 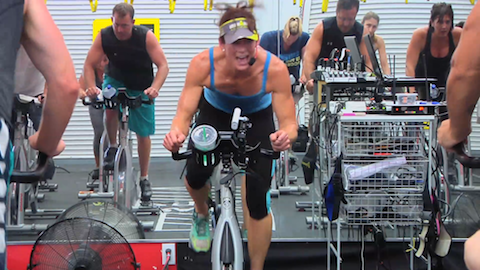 Hey y’all… here’s a quick and energizing 30 minute SpeedSpin® with Bethany! Get yourself ready for some hills, sprints, and endurance rides. It’s fast, fun, and will be over before you know it! Repeat after me. “Simple does not mean easy”. All you gotta do in this class is 21 reps of some killer body sculpting strength moves with a few heart charging plyo sets mixed in. Told ya, sounds simple right? Well did I mention those moves include burpees, renegades, push-ups and a few other fun treats? And that you’ll complete the 21 reps more than once? So… that’s where the not so easy part comes in, but you can do it and it’s totally worth it. Holy fat melting is this a good one. 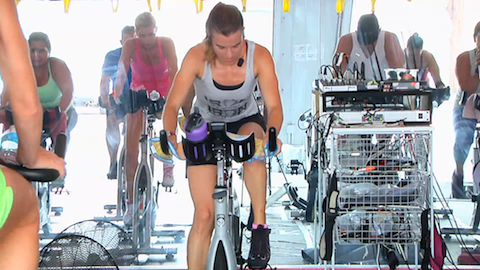 The idea in this 60 minute Spin®Core class is to learn to work smarter, not harder, in order to maximize fat burn during the workout itself. Right after a quick warm up, I have you hit the floor for a 5 minute mid-section toner that you’ll feel throughout the rest of the class. Get ready to break a sweat! This high intensity circuit workout mixes traditional upper body exercises, along with popular HIIT methods, compound exercises, and plyometrics, all aimed to develop power and explosive strength while tightening and shaping the entire body. Expect to build beautiful lean body mass and burn off lots of unwanted body fat in this unique high energy fitness class. Teen Time is a class that was designed for teens OR for those that feel young at heart! It was filmed live in San Diego, CA with an AWESOME group of teens at varying fitness levels, but equal amounts of energy. The format is simple, but the class is not. Don’t let that scare you, just go at your own pace, but challenge yourself to push hard whether you’re on the bike or on the floor. 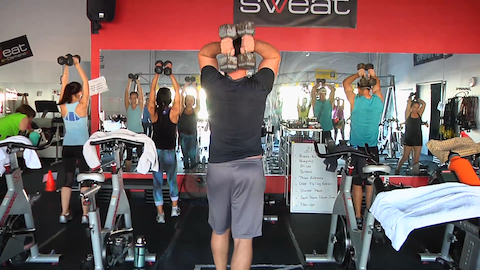 There are 2 short, but killer, cardio blasts on the bike, along with 2 floor sets aimed at toning the entire body using nothing BUT your body as a way to get there. Time to ride tough… like a girl. Expect to work just below your top end in this SpeedCycle workout. You’re looking at pieces that change in cadence, but remain just under your breaking point of intensity throughout this express Spinning® class. Gearing properly is everything here. Go the distance, being mindful the entire set that you don’t go over the edge of no return. This is NOT on/off intervals… AKA threshold training. This IS endurance… working just below that edge and holding on. My guess is it’s gonna be a little harder than you think, but you’ll love it. Oh my gosh you guys….what a great, challenging, and tough class you have ahead of you! Interestingly enough you’ll find that it’s so simple. Each set contains upper body, lower body, core, and a plyometric exercise (with a low impact option), that’s it! But simple does NOT mean easy! You’re gonna be sore from this, and that’s OK! Come along and jump into this calorie burning, muscle building Small Group Training. You’re gonna love it. This ride has super fun and motivating songs that each take you through a specific riding profile. For this Spinning® workout, you’ll start with a warm-up, and then depending on the song, you’ll sit or stand your way through various hills, flats, jumps, and sprints. You’ll be pleasantly surprised with the unbelievable amount of calories you’ll burn in such a short time, while also conditioning your core and lower body. Be sure to have water. You will need it! Cheers!!! 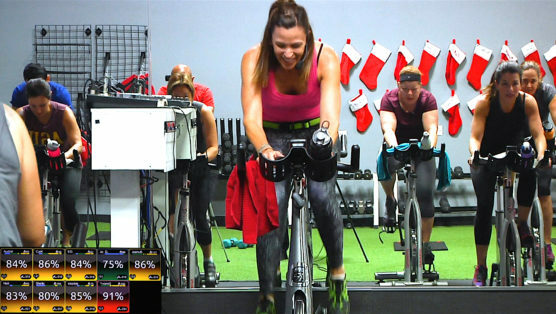 This ride is about increasing your fitness level, along with building up the strength and stamina of those legs. We start out on a gentle hill to make sure you get those muscles loose and warm, so you can hit it hard as we run to the base of our first nice long hill climb. After reaching the peak, the road flattens out for some well deserved recovery. You’ll need to recover quickly though, because we head directly into hill climb attacks, followed by an almost 13 min drill that alternates between a high cadence flat road and a heavy hill climb. To bring it home, we finish with a couple of fat torching sprints into a nice endurance flat. It’s pretty awesome.